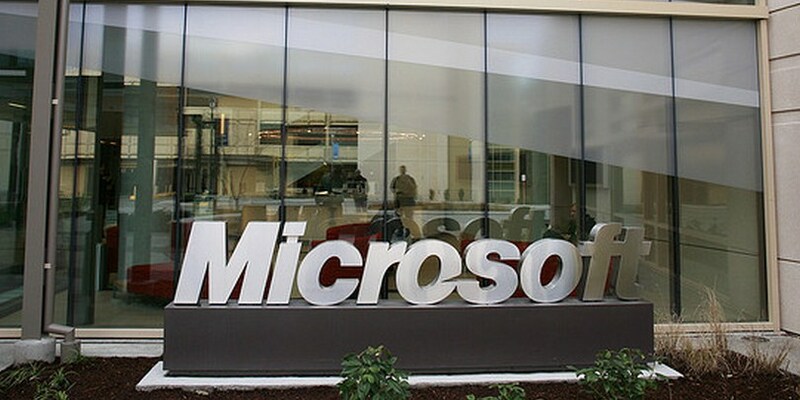 The Next Web has been afforded an early look and test of Microsoft’s build of Skype – the popular voice, video, and chat communications product – for Windows 8, its forthcoming operating system. After hands on time with the Windows RT build of Skype, we found its performance to be strong. Its interface is free of clutter, making it quite navigable. 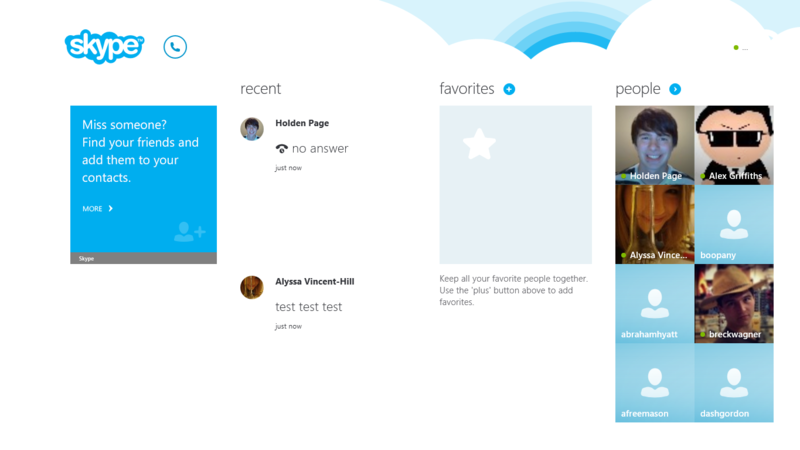 As Skype experiences go on platform to platform, what Microsoft has built for Windows 8 and RT are among the best. 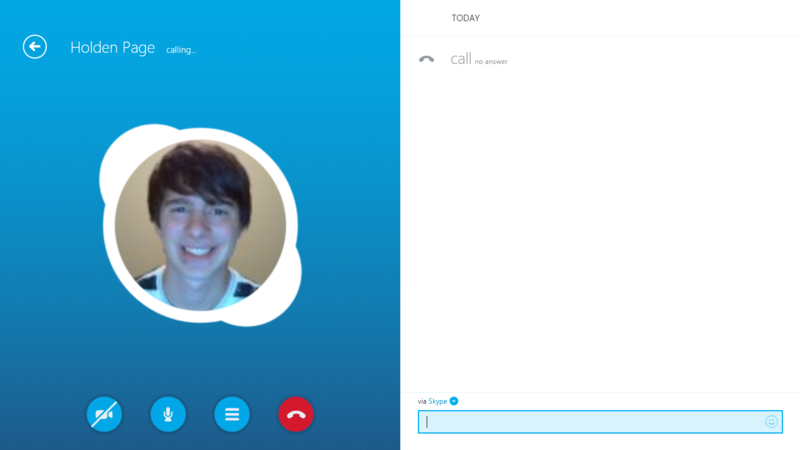 If that all sounds a bit wish-wash, you have to understand that Skype for Windows 8 – and Windows RT – is the simple translation of current Skype desktop apps into a more Metro UX environment; the product itself is all but unchanged. Naturally, it’s good form that Microsoft is out and about early with this stuff, after all it owns both Skype and Windows; this is its home turf. We managed to snooker our ARM-based tablet running Windows RT into coughing up a few screenshots. This was a maddening process, by which we had to fire up Snipping Tool on an external display, and take screen captures that include a bit of the wrong screen, as when we tried to screen cap just Skype, we ran into a Hot Corner and the whole effort would go to hell. But more on Windows 8 later. When you fire up Skype in Windows RT for the first time – become accustomed, by the way, to seeing the Windows 8 and Windows RT names in a constant jumble, it’s simply the future – you are asked to connect, merge rather, your Skype and Microsoft accounts. One account to rule them all, indeed. Merging my Skype life into my Microsoft account is likely something that is quite useful; it could lower my total need to log into individual applications. And it is not a surprise: Microsoft owns this Skype monster, and needs to drive its usership, and thus its revenue, to recoup the massive price that it paid for the service. 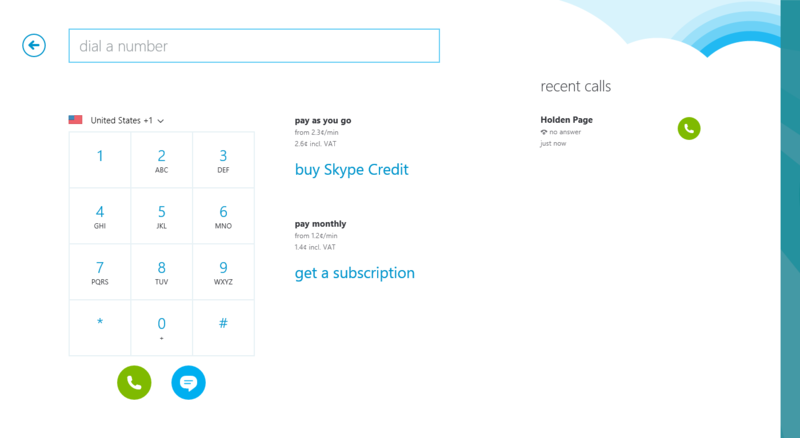 Now, how will Skype fit into the larger Microsoft product lineup, with Lync, an enterprise-focused messaging service? 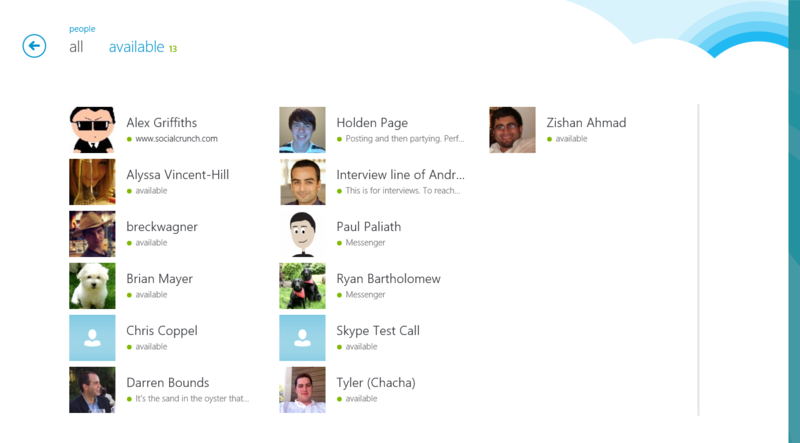 As The Next Web understands, Lync will remain a distinct product, with the ability to chat into the Skype network. Businesses that require a higher level of security than Skype provides would thus select it. A final thought, if we might. Ed Bott has a simply fantastic look on how much of the media narrative that surrounds Windows 8 can be precisely aligned with early criticism of Windows XP. It was too radial, the thoughts went, to catch on. Of course, XP became the defacto ‘Windows’ build of Windows until Windows 7 came along. In short, fret less. I mention all of that as Skype for Windows 8 feels quite like Skype; users, when using the app, will forget that they are in Windows 8. We leave that with you to ruminate on. Skype for Windows 8 will be rolling out in the Windows Store on October 26, the same day its new operating system officially launches to the public.